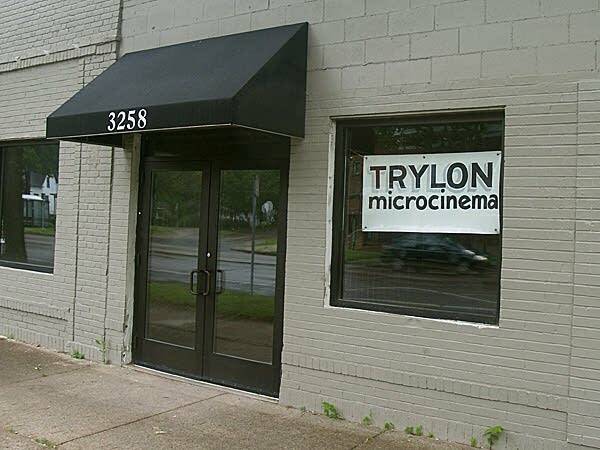 The Trylon Microcinema sits in a squat building on Minnehaha Avenue in Minneapolis, just south of Lake street. But inside there's a snug little movie theater with a large screen and vintage rocker seats bought from a local theater chain. "We're kind of living on the fringe of theater supplies, because 50 seats, they don't really even notice them going when they have these buildings that seat 1,500 or 2,500 seats in them," said Barry Kryshka, of Take Up Productions, who is leading the tour. It doesn't take long. There's just the auditorium, the projection box and the entrance space, which doubles as the popcorn stand. It's an important economic engine for any movie theater. "Our screen is about a 20-foot diagonal," Kryshka pointed out. 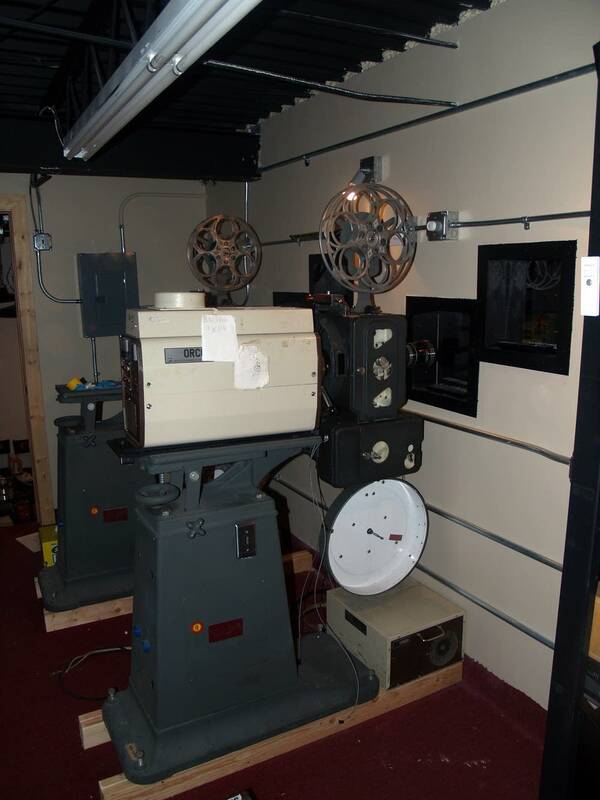 "Our projectors are technology of the 1940s. They are Century Model C's. We have two of them." And while the story of the Trylon is about a love of films it's also all about economics. The theater is the culmination of several years of work by a group of film enthusiasts who cut their teeth as volunteers at the Oak Street Cinema in Minneapolis. It used to run a repertory program seven days a week. When the theater had to cut back because of financial considerations some of the Oak Street volunteers branched out on their own and created Take Up Productions. They wanted to keep showing films you couldn't see at the multiplexes. "And we started to do outdoor shows wherever we could pull them off," Kryshka said. "And we would haul our own projector out and set up a screen." Popular wisdom is many people prefer to watch movies at home on DVD. But Kryshka said many others enjoy the community aspect of going out to see a movie. Take Up productions built a following and, in time, began renting Twin Cities theaters for special screenings. There was a Hitchcock series, a Film Noir series, and recent screenings of "Lawrence of Arabia." Those events drew hundreds of people. Barry Kryshka said the money from all those shows has now been plowed into the Trylon. Again, he said it's all about economics. "On one hand we wanted our own space just to have our own space," he said. "But at the same time it's nice to have a space where you can program things that might only draw 30 or 35 people at a time." The Trylon opens with a Buster Keaton Festival over the next three weekends. After that, Kryshka said he and the other volunteers will gauge demand as they go. They hope to program the Trylon on Friday and Saturday evenings, and still do larger series every few months at bigger theaters. Another separate and even more ambitious effort is underway in Duluth. 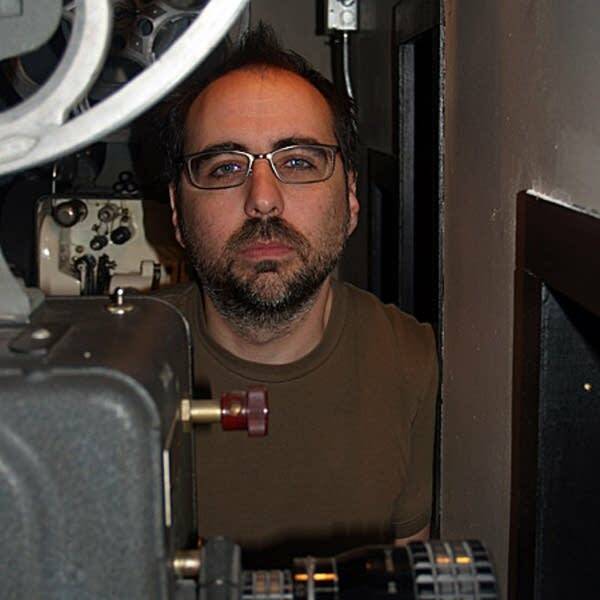 That's where Tim Massett is programming the Zinema 2. It's a two-screen theater about to open downtown on East Superior Street. "They are pretty modest," Massett said. "The largest auditorium will seat 98 and the smaller 63." Massett said he plans to show accessible films that would ordinarily bypass Duluth, such as "The Hurt Locker" and "Moon," which are both now in theaters in larger cities. He also plans to bring in film makers, perhaps in co-operation with the Trylon and screen films which have done well at film festivals but have not been distributed in the U.S. He wants to host a Scandinavian Film Festival early next year. 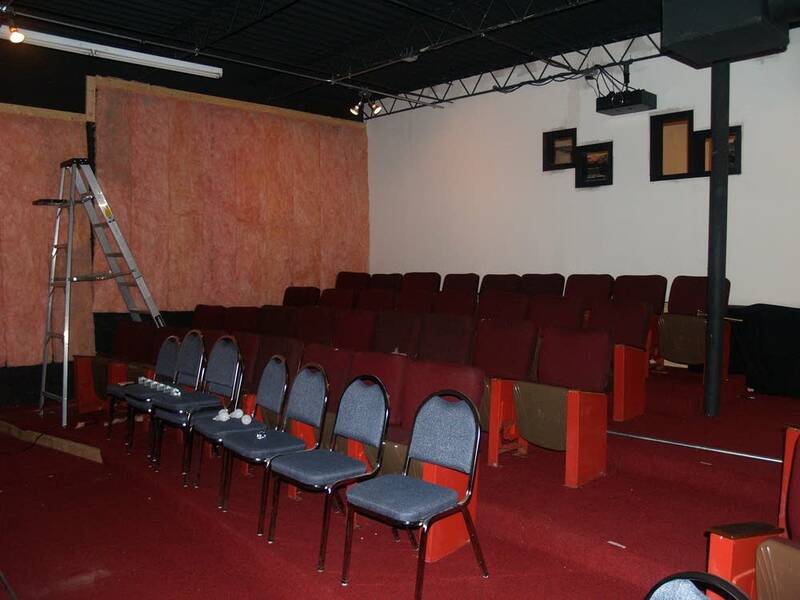 The Zinema 2 is part of a complex being created by the Zeppa Family Foundation, which includes a restaurant and a black box theater. Massett, who moved to Duluth from Florida to set up the Zinema, said he's still learning about the local market and he's still trying to decide how to define success. "If we can break even?" he laughed. He'll know in late August when the first films will start rolling.